Hello everyone! This is Yana and I'm excited to be doing a guest post on Trimcraft blog again! This time I got to play with the fabulous Its A Boy papers from First Edition. 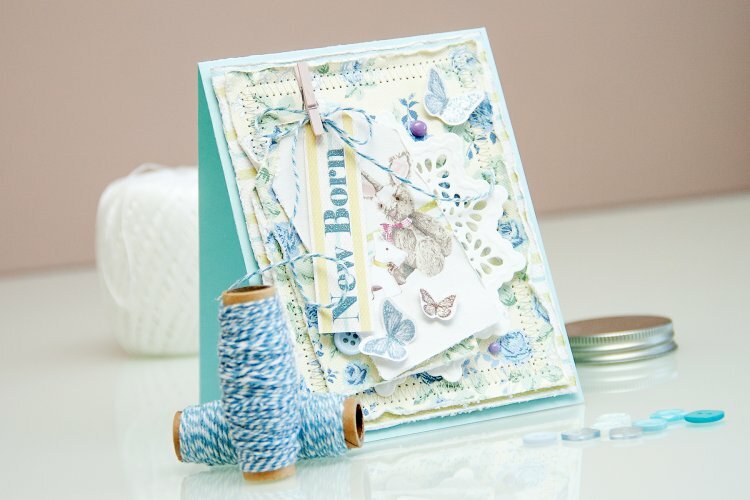 I love the fabric textured papers that can be found in this line, I think they are just perfect for cards and they feel so nice to the touch! For my project today I used a few sheets of cardstock from the It’s a Boy papers along with a few other embellishments from Trimcraft. Other: sewing machine, scissors or distressing tool, double sided adhesive. I created this video tutorial to show you exactly how the card was made. I hope you like my card and this video tutorial. If you have any questions, please leave them in the comments section, I'd be happy to answer them! If you make this card please share in the Project Gallery.